When summer arrives Cama Beach Foundation volunteers roll out the Discovery Wagon which features a range of native animal skulls and pelts. 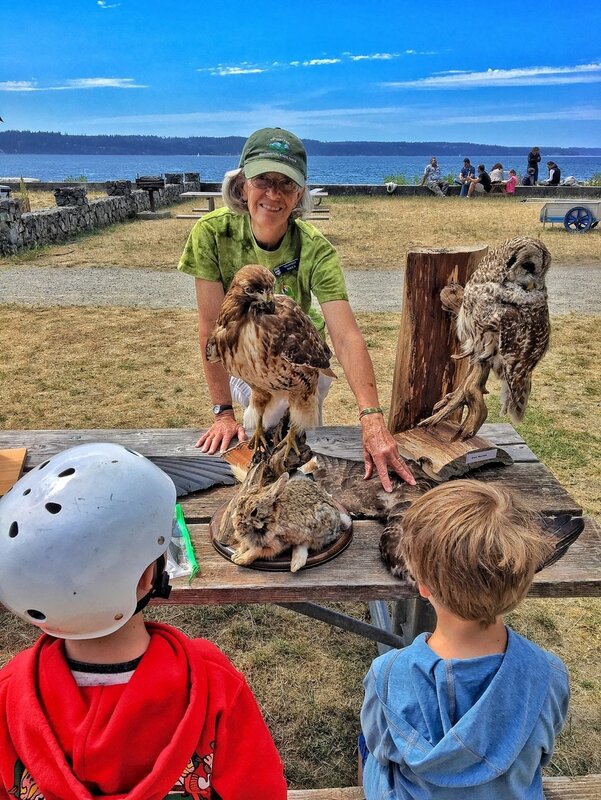 Children of all ages use their observation skills, experience, and curiosity to discover what secrets an animal’s skull can reveal about the animal’s behavior. You can also visit Cama’s Museum Room located within the Park Office (just north of the Cama Beach Store).